My entre to literary land is going to be a slow burn: I think I established this in my recent (ish) post, ‘Silly Seasoned’, where I outlined my Mission Statement for 2014. I call it my post of ‘wise martyrdom’. Because you’ve got to lower your writing expectations when you’re raising small kids and working in a demanding job. Clearly, I have lowered my expectations…I haven’t blogged in more than a month. But I‘ve been dutifully researching; examining the human condition day in and out. There’s a lot to be learnt from interactions in the microcosm that is a school. I’m lucky though, I’ve found a beautiful community of diligent, passionate writer birds, and I’m cruising on their wings. I met Emily , Louise and Glen last year when we started a Writing Crit group. Without them, I’d probably be in free fall, hurtling towards a prose-less land. We are a cheer squad, and I have no doubt that I’ll be cheering these friends at their book launches soon enough. I’ve read enough of their work to know that they are the real deal. I feel very blessed. The Gang of Four are heading off on a road trip in May. We’re going to the Margaret River Readers and Writers Festival for a heavenly weekend of books and wine. And we’re staying in a converted train carriage. What an adventure! Kristen, don’t get too down on yourself about your proselessness (I think I just invented a word). You are right to put your family first at this stage—your kids are little, but they’ll grow soon enough. I speak as a mum who’s eldest has now left home, but who feels like it was only a couple of years’ ago that I had babies. Having said that, I’m glad you’re doing some writing. It’s important for mums to do something that is soul-nourishing. Don’t doubt for one minute your abilities as a writer—you have a poetic and lyrical turn of phrase of which I’m very envious. That won’t go away, especially as you’re keeping your hand in with the short stories. 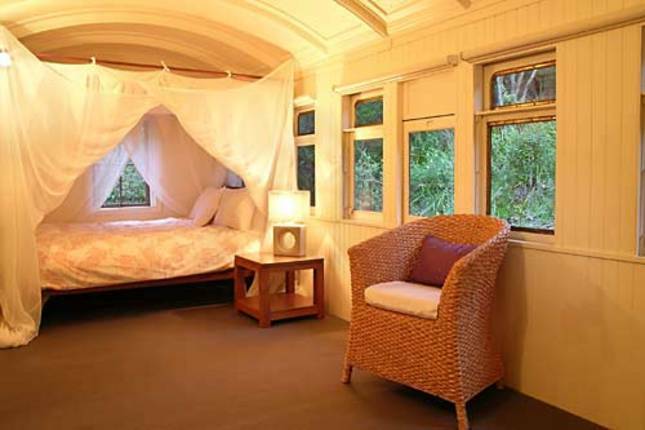 As for MR and the converted train carriage—I can’t wait! Beautiful post Kristen. And I’m with Louise – “Don’t doubt for one minute your abilities as a writer – you have a poetic and lyrical turn of phrase!” You truly do Kristen. Like Louise, I know how hard it is to put aside your dreams , to have to put off and put off and put off…but curiously throughout that “putting off” your brain is soaking up stuff, it’s doing what I term “involuntary research” vital for future writing. Just keep that pilot light within you that wants to write, going. One day, your time will come, and when it does you’ll be bursting with words, metaphors and similes and a breathtaking perception of humanity.